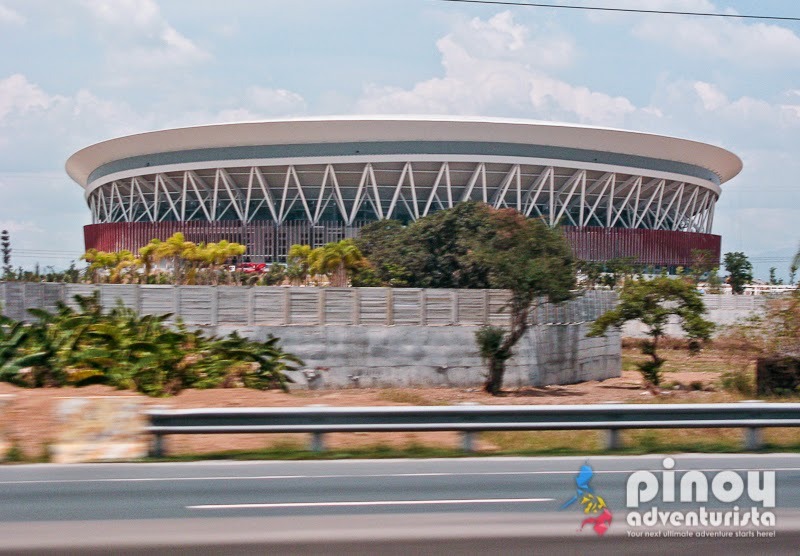 The PHILIPPINE ARENA in Bulacan, dubbed as the "World's Largest Indoor Arena"
Today marks a monumental event not just for the Iglesia ni Cristo but for the whole Philippines as the "World's Largest Indoor Arena" is set to be inaugurated in Bulacan. Situated at the sprawling 75-hectare eco-tourism zone in Ciudad de Victoria, Bocaue Bulacan, the Philippine Arena was built on a 99,200-square meters of land, has a dome of 36,000 square meters which is said to be "the biggest roof space in the world" and has a capacity of 55,000 seats. Designed by world-acclaimed architecture designers from Populous, the Philippine Arena will be an appropriate venue in the Philippines for sporting events such as the Southeast Asian Games or perhaps the Asian Games if ever it will be held here in the country. Said to be 3 times bigger than Mall of Asia Arena and Smart Araneta Coliseum, it could also the best venue for big gatherings, concerts and events in the country. Other buildings inside the complex are expected to also be finished by July 2014, such as the Eraño G. Manalo (EGM) Medical Center, New Era University, the Philippine Stadium, and the Philippine Sports Center.